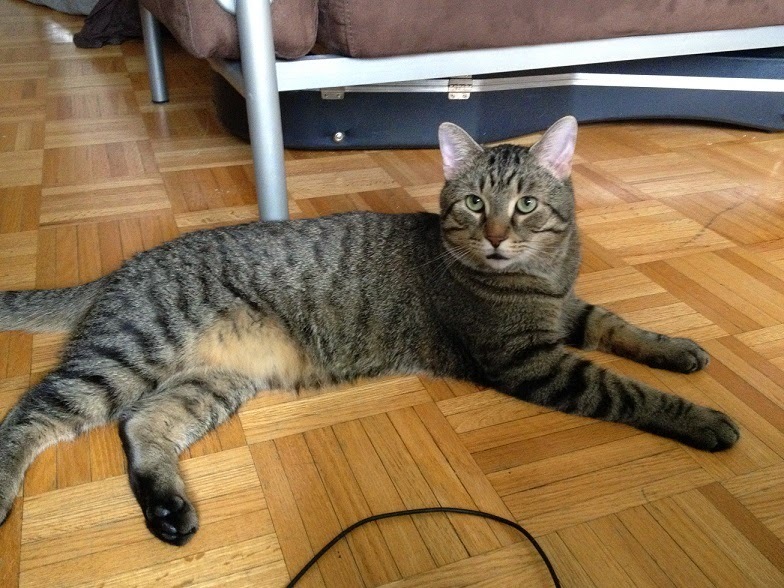 Meet our furry friend of the week: Mannie the loveable tabby cat! 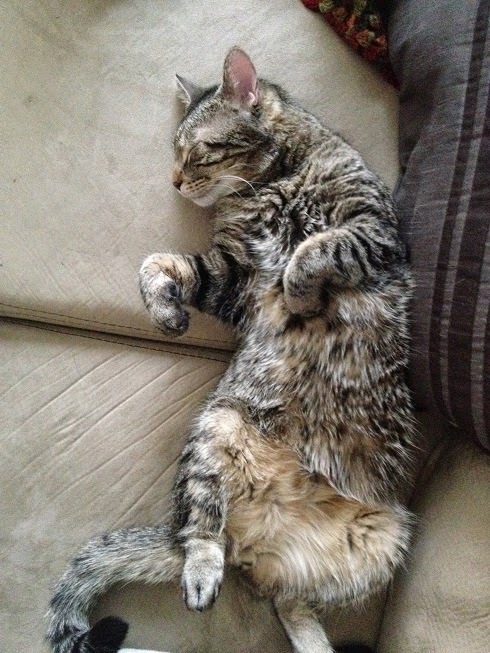 It's not sure where Mannie came from, but this lucky tabby was able to find his way to a loving furrever home. Mannie was first spotted by a security guard at the back of his building. 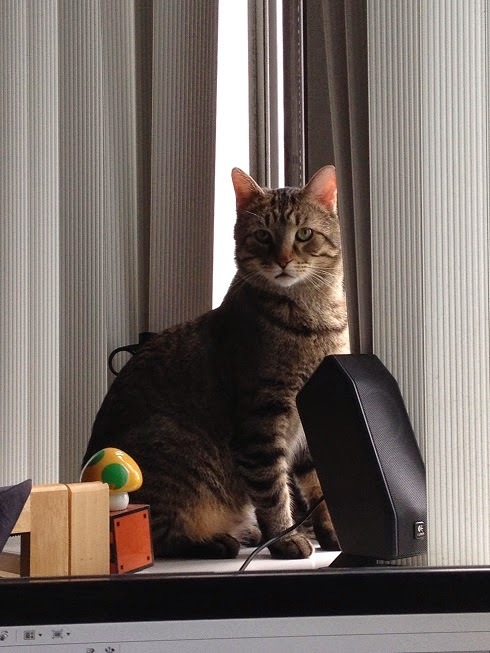 She noticed that this tabby liked to follow people around. It's plausible that Mannie was dumped there and wasn't always a stray. It's not certain how long Mannie was homeless. When Marco and the security guard finally caught Mannie, he was pretty beat up by a cat or a raccoon and had to be taken to a vet. He had many scratches on his nose and the rest of his face. Also he had a huge gap on his cheek from a bite. For his recovery Mannie stayed with a nice lady who was also taken care of other cats in a nearby 'cat colony'. One day she asked Marco if he was able to foster Mannie for a week. After consulting his roommate Marco agreed to take care of Mannie. The first night Mannie was a bit scared, but he quickly felt right at home. Mannie turned out to be a very friendly and loving cat.